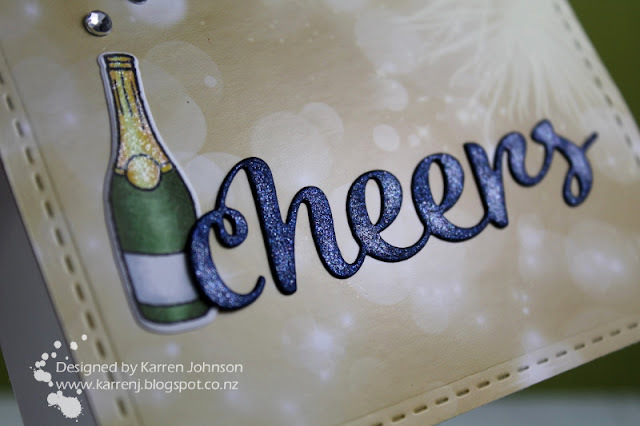 KarrenJ - Stamping Stuff: Cheers! Well I am just tickled pink that my card inspired yours! Who would have thought that would happen! I love how your bokeh background is jazzed up a bit by those two fireworks on the right side. Those really makes the champagne and the sentiment a bit extra special! 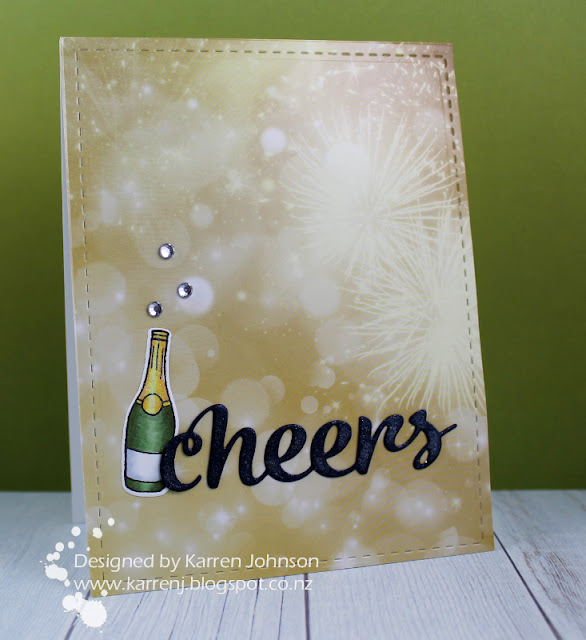 Brilliant card Karren love that you could use the packing and that bottle looks brilliant. I love that Cheers die cut too. Might have to hit you up for a few of them, they are really neat looking, how about a trade hmmmmm. Love your card especially the sparkle on the bottle. Oh, I love this and your fabulous background! Fantastic take on the sketch, Karren! Merry Christmas! Cheers to you, and this fabulous card! What fun it is, Karren! LOve the sparkle of the bubbles and the bokeh fireworks! Thanks for playing cards with CTS this year - can't wait for all the cards you'll make in 2017! Cheers for recycling that amazing packaging as a BG for you card! I collected all the silver and gold card from the Christmas crackers yesterday! Cant wait to use it! Your card looks gorgeous Karren. Thanks for joining CASology... and best wishes for 2017! What a fabulous bokeh background! Perfectly matched to your celebratory champagne bottle. So glad you joined us at CASology this week Karren! How cool that your background was right there and ready to go! I love how you kept your design CAS, and your navy blue sparkly sentiment is perfect! Fabulous card, Karren! hello karren! awesome background...luv the star burst...very pretty! I am so glad you played along with us at simon says stamp wednesday challenge! Perfect New Year's card - full of energy and fun! 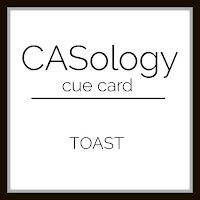 So glad you joined us at CASology! What a gorgeous card, Karren. I love the backdrop - such a festive project. Thanks for playing along with this CAS(E) this Sketch challenge! Fabulous card Karren, I'm wishing you all the best for 2017! Ah! A fellow night crafter! I could totally relate to your sense of excitement to get home and get crafting! And what a wonderful card resulted! i am so impressed by the background you created and how it has such interesting shapes and patterns in it. But it is still so perfectly subtle! This is full of wonderful details and I'm so glad you shared your talents with us for this week's Simon Says Stamp Monday Challenge! This is fabulous.....and a gorgeous way to start the new year! Cheers to you in 2017!